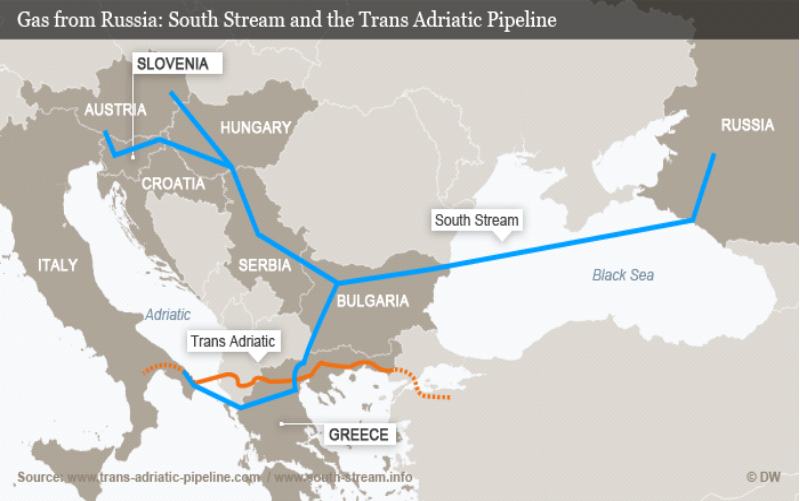 Why are Americans making Balkan knot on the South Stream pipeline project? The majority of citizens in our country treated with interest the news about joining South Stream construction pipeline. In the mid-April Wirtschaftsminister Dr. Reinhold Mitterlehner welcomed signing of the Basic Agreement on cooperation between the Austrian energy group OMV and the Russian energy company Gazprom in South Stream pipeline project. Decision of our esteemed politicians and businessmen to join South Stream pipeline project was taken after a long delay – other countries where the pipeline route passes already supported this project several years ago. Now we can consider differently as future consumers the prospective of connecting to a new powerful source of ecologically clean fuel – natural gas from Siberia. Construction of Trans-European pipeline South Stream can bring certain economic benefits to European countries – project participants. It is disappointing and annoying that the pipeline becomes a confrontation line shortly named by coincidence as a known sea distress signal "SoS". In this contents “SoS” means Security of Supplies according the terminology applied in documents and materials in energy market and as it turns out the massively promoted necessity of strengthening “SoS” can be used as a masked form of competition in energy market. You can consider yourself the aims of the attempts for tightening the knot on South Stream pipeline at the Bulgarian section of the pipeline which is the first part of it's route to Europe. Prime Minister of Bulgaria Plamen Oresharski announced after his meeting with U.S. congressmen on the 8th June that he had ordered to suspend work on South Stream pipeline . It would seem that for us, the Austrians there is nothing notable in the news. But if you look closer at the background and future prospects of development of the gas market in Austria it becomes obvious that the discussion revolved around South Stream pipeline makes practical and very important sense to us as well. Our country with 9 million people annually consumes about 9 billion cubic meters of gas including 47 percent of gas supplies come from Russia, 38 percent – from Norway. The rest 15 percent are produced in Austria. Thus Russia is our essential backbone supplier. We import Russian gas by means of transit through the Ukrainian gas transmission system (GTS) consisting out of pipelines built in the Soviet era. There are two disadvantages in this supply route. Firstly, it is transit risks. All of us remember the Russian-Ukrainian gas crisis in the winter 2009, whtn we were not able to get almost 90% of the planned volume of gas through the Ukrainian GTS. Another disadvantage refers to technical features of the Ukrainian GTS. 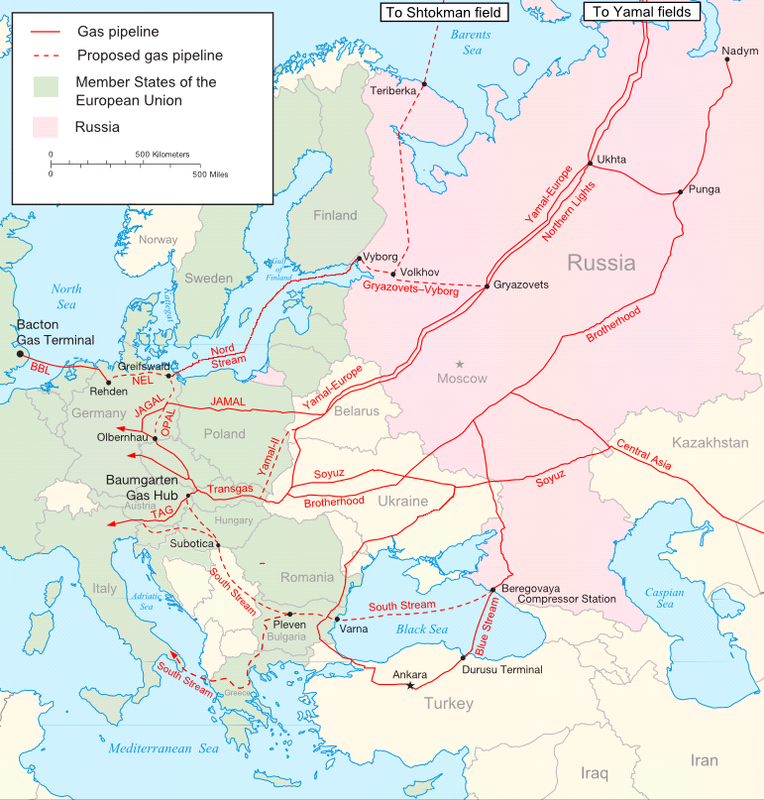 Indeed, from the beginning it's construction this gas pipeline system in the Soviet Union, it was built as a cross-border export pipeline connection directed from east to west through Ukraine by two routes for gas supplies to Europe. 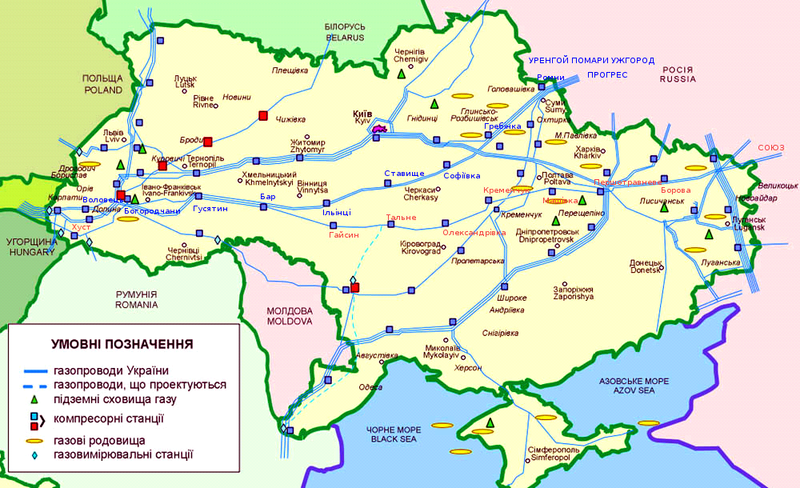 After the collapse of the Soviet Union this gas transmission legacy received by Ukraine had been extensively used to meet Ukrainian domestic needs providing energy for local gas consumers. It resulted in a significant decrease in the technological capacity of the Ukrainian GTS which is necessary for the export. A diagram of the Ukrainian GTS below shows how it was constructed in the Soviet times and how it is being represented to everybody now. And here is how the Ukrainian GTS actually looks nowadays. In real situation it is impossible to ignore this difference since now first of all it works as an extensive industrial network covering the Ukrainian territory. Properly speaking the Ukrainian GTS carries out now two independent missions at the same time: provision of gas supplies to domestic consumers and implementation of export transit. The question is what task has got the highest priority? Observation of recent history reviles that such burdening of export pipeline network with internal gas consumers often leads to implementation of export commitments on the basis “whatever remaining stocks” when a gas volume for export comes to what left in gas storages after satisfying the domestic needs and not otherwise. Hence the conclusion is obvious even to outsiders: it is impossible to impose on the same system two important independent tasks. Otherwise problems precisely of technological nature arise and there were sometimes attempts of tying them up with other issues including whose that are faraway from the gas industry. As a result, it is clear that the dual purpose of the Ukrainian GTS objectively creates a risk of ensuring transit. Indeed, even a nonexpert can make a conclusion that it is impossible to maintain a proper management of such a system. As to an example of GTS specially built for export with transit risk-less character you can see below the picture of the pipeline "Yamal-Europe" laid on the territory of Belarus. 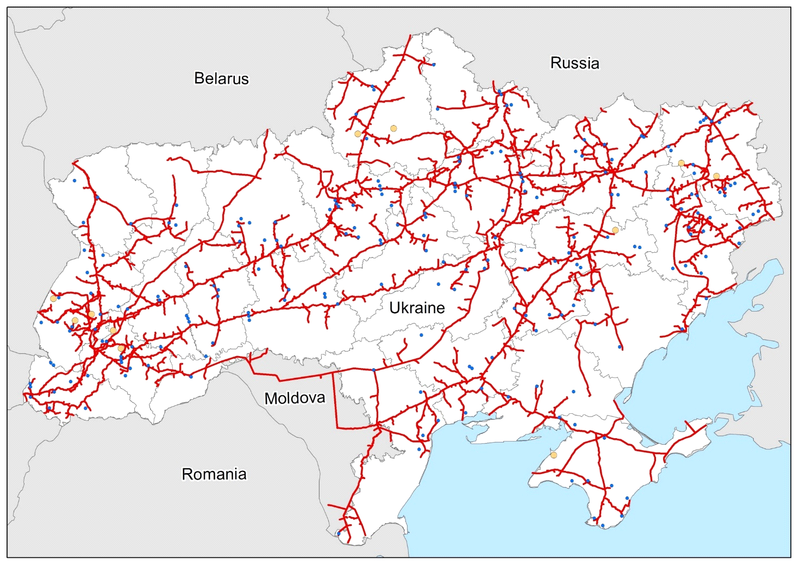 According to available information all connections on this pipeline in Belarus are tightly controlled, and a dual application as it is mentioned above are excluded. Other more obvious examples of such technical solutions correspond to North Stream and Blue Stream export pipelines. Now, if we consider the scheme of South Stream gas pipeline it would seem that it possesses the advantages of the above export pipelines. Nevertheless, we have witnessed a campaign aimed at countering the South Stream project. Let's understand why this is happening. Only month ago, everybody thought that claims to the project associated with the directives and requirements ascertained by the decisions of the European Commission. And I also sincerely had held this viewpoint up to the moment when the news emerged regarding a direct interference of the U.S. representatives into internal affairs of a member country of the European Union. That refers to Bulgaria! Visit to Bulgaria by a group of US Senators led by Mr. John McCain and an official statement of US ambassador to Bulgaria Mrs. Marcie Ries shift the discussion about the South Stream project to the level of strident political rhetoric. What is the reason for that? There is a generally accepted answer that it is just supplementing political confrontation and it is another attempt to find a lever forcing the political situation in Ukraine. It would be possible agreeing with that explanation, if do not take into account recent developments in business life of Ukraine. In mid-May in a remarkable manner the younger son of US Vice President Joseph Biden has taken the position of member of the board of directors and legal adviser to Burisma Holdings Ltd., the largest private natural gas production company in Ukraine. Far more former president of Poland Mr. Aleksander Kwasniewski is also a member of the supervisory board of this Ukrainian company. So there is no surprise that encouraging business interests of political counterparts Prime Minister of Ukraine Arseniy Yatsenyuk announced on the 19th June that Ukraine intends to set up a company to manage the pipeline when Ukraine would own 51 percent of the venture, but is ready to invite Western companies as shareholders for the remaining 49 percent. Now it is clear why the U.S. is against South Stream and tries by all means to stop this project. It's just business interests of highest politicians of the country and their multinational companies. And they are not ashamed of demonstrating their interests. Thus democracy "supporters" put at an energy risk on a whole region and different countries opposing not only to their economic development but in general affecting future welfare of South and Eastern Europe. Why should South and Eastern Europe accept this policy?